Last week the European Central Bank reduced the interest rate it pays to charges banks to keep cash with it to -.3%. That’s not a typo. Instead of paying interest to banks, it now charges them 30 basis points to keep cash parked with the central bank. The idea of negative interest rates is mind-boggling. The Economist has a good article about negative rates and the effects they have on consumers and markets. This makes me happier with the 0.8% I earn on my savings account. So far, European retail banks have held the line against charging their customers for keeping deposits with them. But as rates go lower, they’re finding it hard. 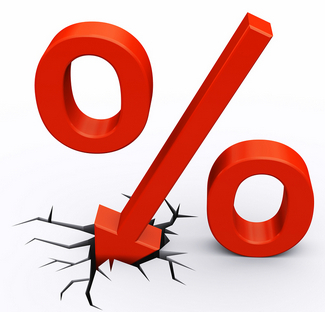 The deposit rate Sweden’s central bank charges is -1.1%. Can you imagine being a bank in Sweden, accepting deposits and then having to pay the central bank for the portion you don’t lend out to others? Of course, that’s part of the point. The idea is to get banks to lend money and push borrowing rates down even further. Cracks are starting to show, and The Economist mentions at least one retail bank that will start charging customers for deposits. Imagine what you’d do if your bank suddenly started charging you to keep money there? That might be the final economic — or, perhaps psychological — straw to get you to invest or spend your money. Alternative assets like gold are loved in inflationary times. Could they also be a way to avoid paying to store cash? Companies might reverse their long-standing goal of delaying payments and pushing to keep accounts receivable down. Instead, they will want to pay quickly and delay receiving payment! Taxpayers might over-withhold taxes from their paychecks to park cash with the government without paying fees to the bank. People might buy pre-paid debit and gift cards as a constant store of value. Welcome to UpMoney®, the site for people with money. Get answers to the difficult questions that come with having money — investing, savings and spending. Sign up to be notified about new and noteworthy posts. Have a question about investing, saving, or spending? Fill out this form and we will consider it for a future post. © 2019 Whittier Media, LLC. UpMoney® is a registered trademark of Whittier Media.